It’s snowing outside and Greg and I are curled up on the couch. Did I tell you what my Christmas present was? If you could see me, you’d see how much I’m smiling. Let me show you. See? The ring finger of my left hand? Isn’t it beautiful? It was Greg’s grandmother’s and he wanted me to have it as an engagement ring. We’re cuddled here talking about our wedding. “How do you feel about late September or early October?” Greg said, getting up to peer out the window. “I could go for that.” I giggled and snuggled closer to Greg. His kisses trailed down my neck. “Let’s just hope we don’t encounter any dead bodies,” he said. Will there be a dead body? Monica and Greg request the pleasure of your company at the Cranberry Cove Yacht Club for their wedding reception this spring in book #4. Meanwhile, enjoy the latest adventures of Lucille and Flo! 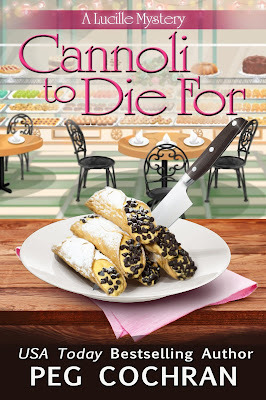 "Cannoli to Die For" sounds like an amazing read. Thanks for the heads up! This sounds like my kind of book, especially reading the review of Book 2 in the series. 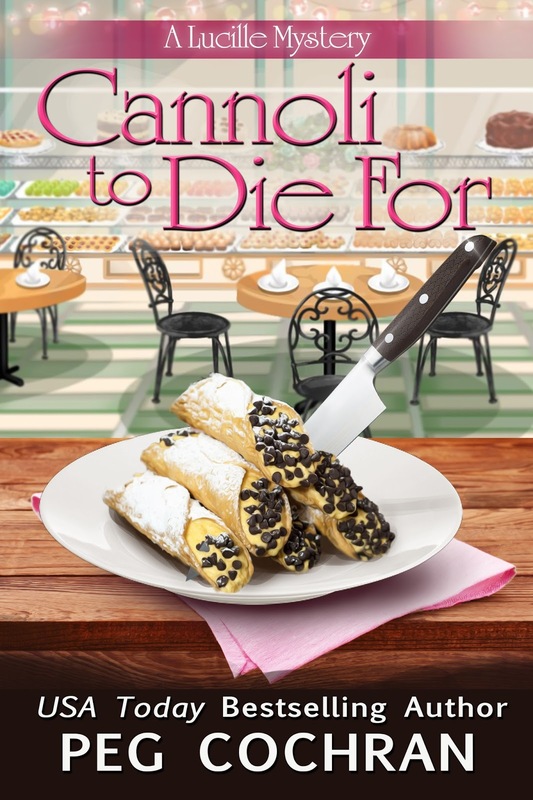 I do love a funny murder mystery. So looking forward to this book!!! Both of these book sound like my kind of read. Thank you for letting us know about them.